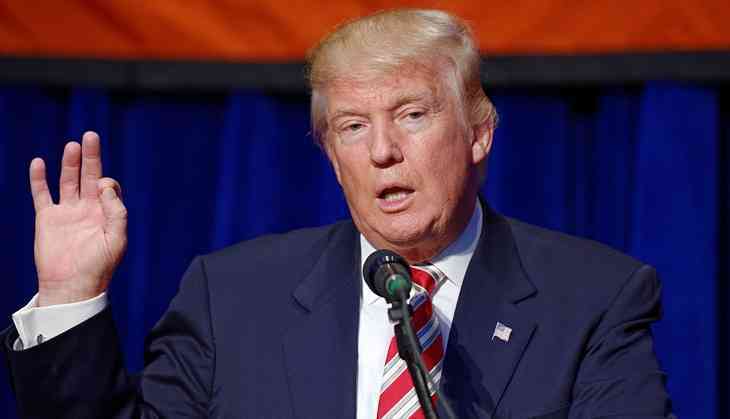 United States President Donald Trump has blamed the opposition Democratic Party for the possibility of the government shutting down. In a tweet, he suggested that the Democrats were trying to arrest the progress the American economy and compromising on national security. "Not looking good for our great Military or Safety & Security on the very dangerous Southern Border. Dems want a Shutdown in order to help diminish the great success of the Tax Cuts, and what they are doing for our booming economy," Trump tweeted on Friday night. Earlier in the day, Trump met with Democratic Senate leader Chuck Schumer at the White House just hours ahead of the deadline for a government shutdown. "We discussed all of the major outstanding issues. We made some progress, but we still have a good number of disagreements. The discussions will continue," Schumer said. "We had a long and detailed meeting," Schumer further told reporters on his return to the US Capitol after the approximately 90-minute meeting. The chiefs of staff for each man - John Kelly for Trump and Mike Lynch for Schumer - also attended the meeting, reported CNN. Trump reportedly called the New York Democrat and invited him personally. Marc Short, White House legislative affairs director, and Mick Mulvaney, head of the Office of Management and Budget, will conduct the briefing at around 10:30 am (local time). Earlier, the US House of Representatives passed a Republican-led bill aimed at avoiding a government shutdown. However, the fight to get the bill through Congress is not over yet. This legislation would likely be dead on arrival in the Senate, where Democrats have said they have enough votes to block the legislation. The final vote was 230-197, with six Democrats voting for the measure and 11 Republicans voting against it.